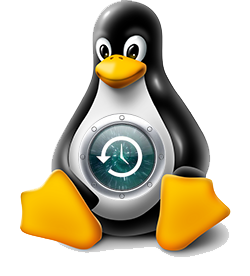 Today I’ve found a nice solution at least for Linux systems with the utility reptyr. While I’m writing this post the package is still in unstable dist, hence not part of the “standard” repositories for a Debian Linux system. And finally you run it. It took to me quite a while before I found a good, well documented, idiot-proof guide to this… that’s why I decided to save it in my own library. All credits go to Dave Vehrs, and original article with all comments can be found here. This howto will explain how to install the base Debian GNU/Linux system onto a USB flash thumb drive. 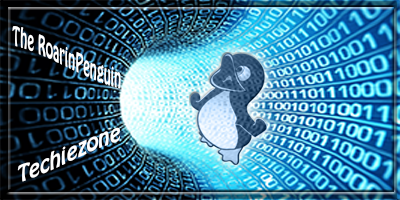 So open your favorite root login shell and follow these 12 simple steps! Jan  1 12:00:00 hostname kernel: USB Mass Storage support registered. As we can see from this output, the device was detected and assigned to /dev/sda. The first thing we want to do is remove any old data from the drive. To do this, we’ll use the shred tool which overwrites the media with progressive cycles of random and nonrandom data to make recovery of any old data near impossible. As a final step, shred will overwrite everything with zeros. For this example, shred wil run in verbose mode, with one overwrite pass of random data (-n 1) and then overwrite with zeros (-z). Next we need to partition the media. For a flash media installation, we will have a single partition and no swap. For simple formating operations like this, I prefer to use GNU Parted because its a simple command. Now that we have our partition, we need to create a temporary mount point and mount our partition to it so we can perform our install. Some BIOS will have difficulting seeing larger partition sizes on flash media, but the kernel does not have this limitation. So we can get around the problem by using a small /boot partition. mkpartfs primary ext2 21.0 -0 set 1 boot on"
Now that we have our partition mounted, we can install the base Debian system onto it. Note: There maybe errors here that /dev/sda1 and /dev/sda2 can’t be found. It is safe to ignore them and continue. Next we have to add some sources to the Apt configuration. Start by updating the apt databases. The first thing we’re going to install is localepurge to help keep the installation size down by removing all documentation in languages other than those you speak. When you install localepurge, it will ask you what locales you would like to keep. As an american english speaker, I select the following locales: en, en_us, and en_us.UTF8. Be careful not to remove too many locales or you may lose some functionality. Need to get 35.2kB of archives. After unpacking 87.0kB of additional disk space will be used. language codes you select now. Usually two character locales like "de" or "pt"
Selecting previously deselected package localepurge. delete superfluous localized man pages. whether to keep or delete newly introduced locales. After this, everytime you run apt-get to install or upgrade, it will post-install run localepurge to remove all unwanted documentation. For now, we have to force it to run for the first time. As space is limited, get in the habit of removing apt’s cached files frequently. Next we install the kernel. Need to get 0B/15.7MB of archives. After unpacking 46.8MB of additional disk space will be used. A chroot environment has been detected, udev not started. This is the contents of the device map /mnt/buildroot//boot/grub/device.map. Thanks to Rick Bronson for submitting the Lilo configuration on my original howto. Copy an existing /etc/group, /etc/passwd, and /etc/shadow file over from another system (this has to be done from outside the chroot directory). Adding new group `test' (1001). Adding new user `test' (1001) with group `test'. And thats it. time to reboot and test.